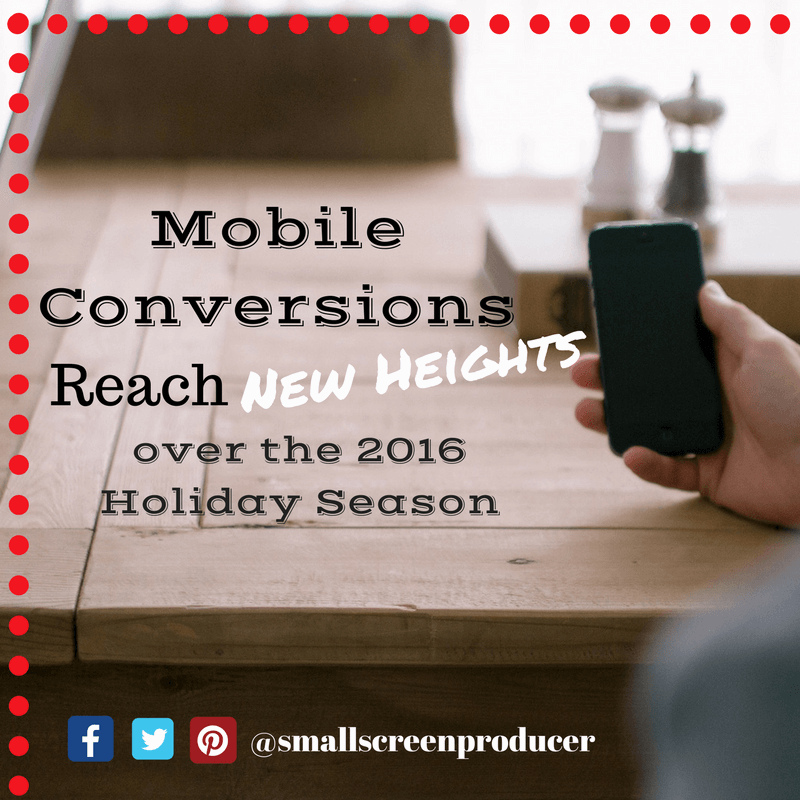 Facebook recently reported that 2016 was the first year that there were more mobile conversions than desktop conversions over the entire Holiday season. The upswing began on Black Friday and continued until New Year’s Day. All in all m-commerce accounted for 51% of total online transactions. A Facebook IQ study revealed that our perception of time changes when we are on our mobile phones. In the study participants viewed two videos, one neutral and one which was entertaining. These were shown on both a desktop computer and a smartphone. The participants were then asked to tell the researchers how long they thought the videos were. People who viewed the video on a smartphone guessed that the video was 30% shorter in length than the desktop video. Time flies when we use our mobile phones. Think of ways to save people as much time as possible and use that as a competitive advantage. Take time to understand the journey of your typical customer. Are they checking out your website and making purchases while on the go? Are they shopping more between commercial breaks on the television? Play around with different types of content and see what reaches out and engages your mobile visitors. More people are using their phones to read reviews and compare products even when they are in your brick-and-mortar store. Experiment with ways to combine the online and offline experience to increase interest and engagement. Need Help with Your Mobile Strategy? The world is moving at a “mobile minute”, and keeping up with it is a challenge. If you have questions about how you can increase your mobile conversions, call Small Screen Producer today at (281) 569-4370.